Happy Thursday to you! 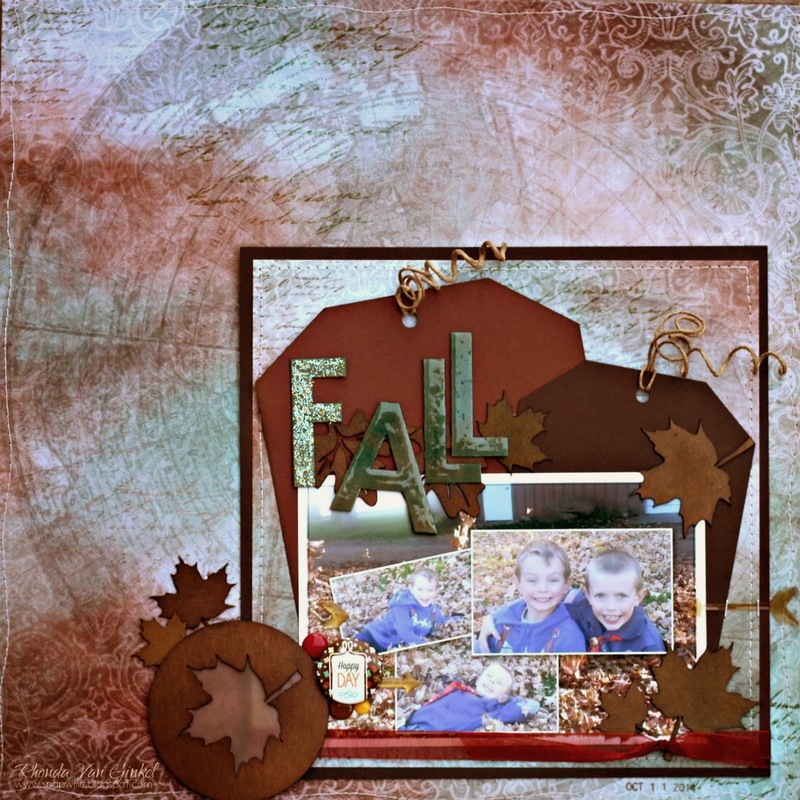 It's Rhonda here today to host the blog with a little fall inspiration with pieces of the October Club Q Kit. 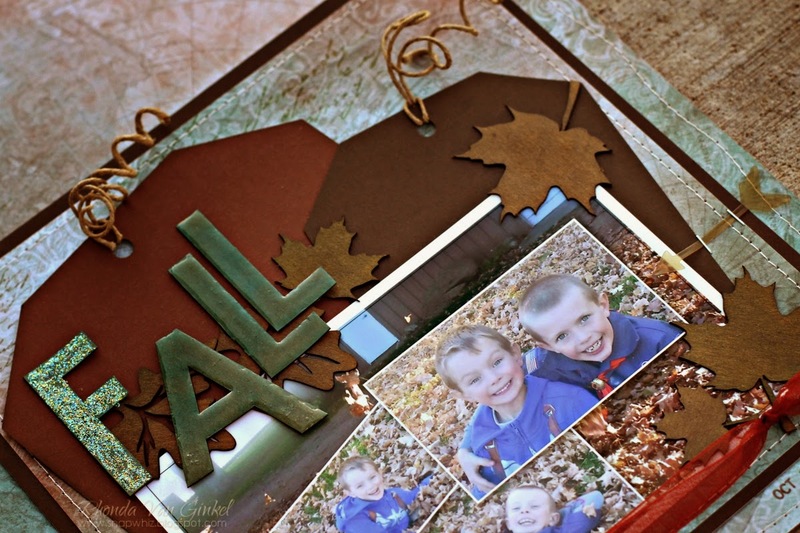 This month's kits are full of all kinds of cute leaf chipboard elements and tags. I used a variety of our PowderPuff Chalk Inks to color my leaves, from Java, Green with Envy and Rusty Nail. I used Baja Blue and some Tahiti on my title work. I took the title and cut it apart and reassembled it a bit of a playful manner. Once I assembled it, I added some Patina stickles on the F and Glossy Accents on the rest of the letters. A few extras elements from my stash completed the layout, I added arrows, enamel dot as and a flair. Thanks so much for stopping on over. Please email me at rhonda.quickquotes@gmail.com within 7 days to claim your prize. Awesome job altering the chipboard letters!